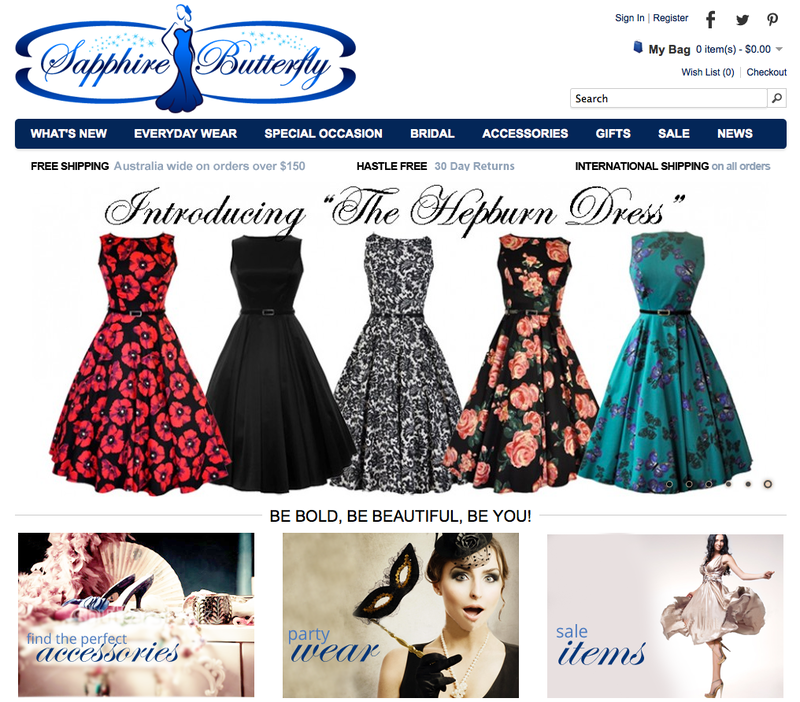 Sapphire Butterfly is about beauty – beautiful clothes & accessories making women feel as good as the amazing things they can buy online. And Sapphire Butterfly knows customers don’t often stop at one item if they can see other items that compliment the one already in their shopping cart. We made sure to make it easy to see those complimentary products and too.